Charlotte appears as Mrs Ellis in the current series of British television drama ENDEAVOUR directed by Shaun Evans for ITV. 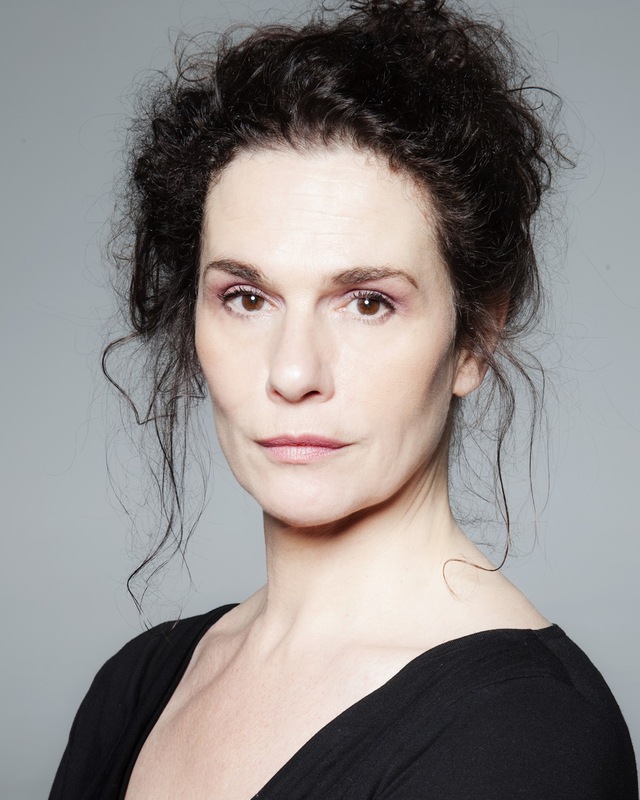 More recently, she played the role of Ger in a new play by Fiona Doyle THE STRANGE DEATH OF JOHN DOE directed by Edward Hall at Hampstead Theatre. Recent credits include Lily de Courcy in THE UNMANAGEABLE SISTERS, a new version of Michel Tremblays’ Les Belles-Soeurs by Deirdre Kinahan, directed by Graham McLaren for the Abbey Theatre and Monica Bridges in Season 2 of RTÉ’s legal drama STRIKING OUT directed by Simon Massey for Blinder Films. Further recent credits include Mary Mallon in one-woman show TYPHOID MARY directed by Bairbre Ní Chaoimh at the Viking Theatre. She played the part of Julia opposite Andy Garcia in action/thriller BENT directed by Robert Moresco, the role of Juno in INTO THE BADLANDS 2 directed by Paco Cabezas for AMC and Siobhán in David Gleeson’s DON’T GO starring Stephen Dorff for Wide Eye Films. Other film and television work includes AN BRONNTANAS (THE GIFT) directed by Tom Collins, for which she was nominated ‘Best Actress in a Supporting Role – Drama’ at the IFTA’s 2015, NAILS with Fantastic Films, ROS NA RÚN (Tyrone Productions), short film COWARD directed by Dave Roddham and British comedy series VEXED directed by Kieron J. Walsh for the BBC. Previous screen appearances include ABOUT ADAM with Kate Hudson, VERONICA GUERIN directed by Joe Schumacher, MILO (Samson Films), SHAMELESS (Channel4), THE CLINIC (RTÉ), TITANIC: BLOOD & STEEL directed by Ciaran Donnelly, FAMILY (RTÉ/BBC), DIRTY OLD TOWN (Short Film), FATHER TED (Channel 4), THE VAN by Roddy Doyle, MOLL FLANDERS directed by Pen Densham, FAIR CITY (RTÉ), SMILLA’S SENSE OF SNOW, CRUSH PROOF, Dr. Ashmore in THE AMBASSADOR, LOVE & RAGE, THE GREAT ITCH, ON HOME GROUND, RANDOM PASSAGE, Det. Dolores Quirke in PROOF, THE CLINIC, WHATEVER LOVE MEANS, THE INNOCENCE PROJECT, ROUGH DIAMOND, SPEED DATING, TWO POINT FIVE BILLION and MYSTIC KNIGHTS OF TIR NA NOG. Charlotte appeared alongside Bernard Hill and Colm Meaney in THE BOY’S & GIRL FROM COUNTY CLARE, subsequently winning ‘Best Supporting Actress in a Feature Film’ IFTA 2005 for her appearance as “Maisie”. Irish language productions include TV movie DRAIOCHT with Gabriel Byrne (Crimson Films), TRÍ SCÉAL directed by Owen McPolin, playing opposite Brendan Gleeson in CÁCA MILIS - ‘Best Short Film’ IFTA in 2003, SEACHT created by Anne Learmont for Stirling Television and RÁSAI NA GAILLIMHE directed by Robert Quinn for Great Western Films. Theatre work includes LIOLÁ by Luigi Pirandello (new version by Tanya Ronder) directed by Richard Eyre at The National Theatre, London, RETREAT and A NEW DAY directed by Bairbre Ní Chaoimh, THE HEN NIGHT EPIPHANY written by Jimmy Murphy for An Taibhdhearc. Previous theatre appearances include WASTERS, PILGRIMS and BUDDLEIA directed by Paul Mercier, DÚN NA MBAN TRÍ THINE and AN SOLAS DEARG (Peacock Theatre), MRS WARREN’S PROFESSION (Yew Tree), AY CARMELA (New Theatre), MUM’S THE WORD (Tivoli), PROJECT ONE (Project Arts Centre), BUG (Purple Heart) and AN GHRÁIN AGUS AND GHRUAIM (Samuel Beckett Centre).